Jun 10, 2016 in "Les Parfaits Inconnus"
Les Parfaits Inconnus is the latest new live entertainment act to open in Epcot's World Showcase. 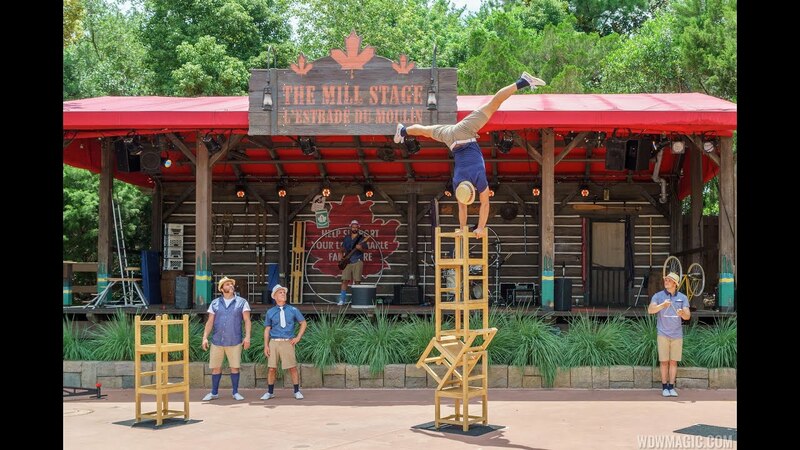 From Montreal Canada, the group blends music, comedy and circus acrobatics in a 20 minute performance on the Mill Stage at the Canada Pavilion. Like other recent acts at Epcot, Les Parfaits Inconnus will be performing at Epcot for a limited time this summer. Showtimes are 12pm, 1:15pm, 2:15pm, 3:50pm, 5pm and 6:15pm daily. Check out the video below from one of today's opening day shows. View more Les Parfaits Inconnus photos in the gallery. More from "Les Parfaits Inconnus"